Have you ever wondered about the differences in small and large print materials? You see it all all the time—whether it be the flyers posted on the office refrigerator or one of the many billboards you pass on an almost daily basis. What is large format, what is small format and how do these worlds differ from each other? 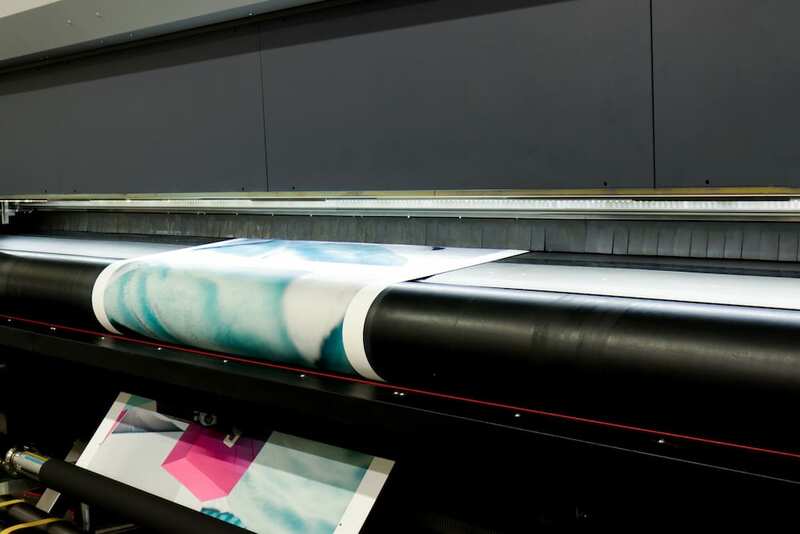 We’ll answer what large format and small format printing are and give you ideas and examples to help you know where to start on your print project. Large format (wide format) printing includes any printed medium between 18” and 100” wide. Prints that are more than 100” wide are called super wide or grand format. Small format printing includes everything from standard copy paper printing to personal printing devices to large quantity printing through industrial printers but at small sizes than large format printing. Large Format (which is also known as wide format) is any print with a width between 18” and 100”. Print widths that are over 100” wide are super wide or grand format. There are several applications to large format printing. Many businesses utilize large format print materials for aluminum signs, banners, vinyl lettering, vehicle decals/wraps and more. You’ll often see examples of large format prints in retail stores. Many stores will hang promotional signage up in storefront windows as well as within the store from the ceiling tiles. Take a look that the following table to see some of the most frequent types of large format print applications along with common sizes and uses. Vinyl Banner — Frequently produced in 13 oz or 18 oz material. Can also be made from mesh vinyl, cloth and other flexible material. Corrugated Plastic (Yard Signs) — Most commonly 4mm thick, corrugated plastic is a partially rigid material that is flat on both sides with vertical fluting in between, making the signs light but also durable. Rigid — Rigid materials such as aluminum, wood, acrylic and plastic are commonly used in wide format products. They make great signage for businesses because they are durable as well as aesthetically pleasing. A-Frames (Sandwich Boards) — Most frequently used by small businesses and restaurants as sidewalk signs. There are a few different methods for printing large format. The earliest prints in large format were completed using lithography and screen printing technologies which are still used in certain situations today. In lithography and screen printing, material is laid flat while the press or screen with the design works ink into the material leaving the impression. In some cases, the material is laid in a movable bed and rolled through the press to apply the ink. As you might imagine the larger the desired print, the longer the setup time and thus more expensive each single print costs. Example of large format roll to roll printer. 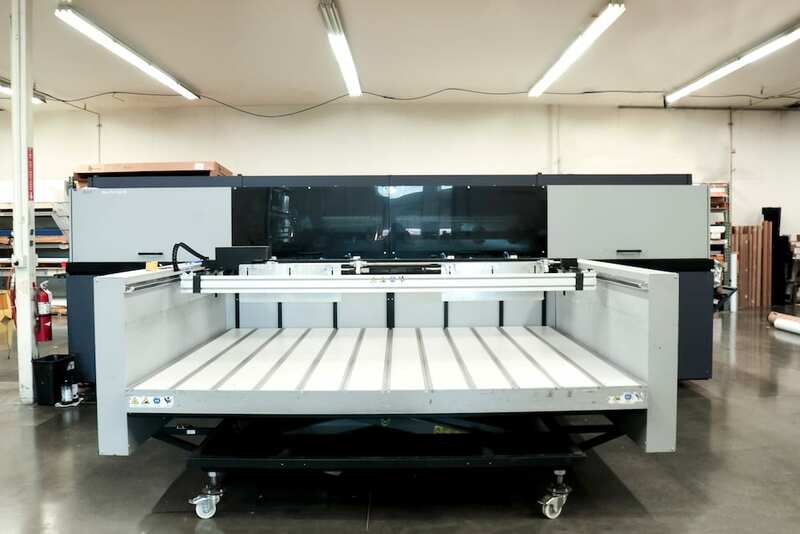 Example of a large format flatbed printer. Screen Printing – a process that involves transferring ink through a screen. This method works particularly well with fabrics and were the same design will be printed in large quantities. Offset Printing – Where ink is transferred from one surface to another, usually through a series of rollers. Digital Printers – Ink is printed through heads and the printing machine feeds material through the printer as the print heads release ink. Check out our blog post which describes these print technologies in more detail. Displaying a piece of art, advertisement, or attention-getting graphic in large format is a fantastic way to get noticed as a business. Despite the fact that big commercial printers, which can be very cost prohibitive for anyone except large companies, large format printing is a growing industry with more cost-effective print options available all of the time. Printing technologies and the spread of such companies with access to these printers now allow you to print stunning graphic designs or custom artwork on virtually any medium. Signs.com proudly employs state of the art digital UV printers for all of your wide format jobs. This means your design can be printed on almost any material from plastic, to vinyl, to metal up to 48” x 96” in most cases. The UV Printing process also makes your design more durable on your sign. Learn more about the way digital UV ink works here. Postcards — Versatile, print product made to several different sizes. Usually printed on cardstock. Flyers — Usually printed on standard copy paper or on higher quality glossy paper stocks. Frequently used to inform people about events, promotions, etc. Brochures — Frequently printed on lightweight cardstock, brochures (or pamphlets) have a bifold, trifold or z fold. Fold-out messaging material with images and text. Stickers — Everything from bumper stickers to labels. Stickers are used personally and commercially for a myriad of reasons. Used on vehicles, as promotional handouts, and more. Similar to large format, there are several different types of small format printers. The large quantities usually needed for small format products like business cards or postcards means that most jobs are professionally printed onto larger sheets and then cut down to size after printing and drying. This process is usually done via offset printing, but can be completed with digital printers as well. Due to the time to set up, cost of materials, and other factors, it is much more affordable to order small format products in bulk rather than purchasing one print at a time. Sellers of small format printed materials usually provide discounts when purchasing higher quantities of the same print. 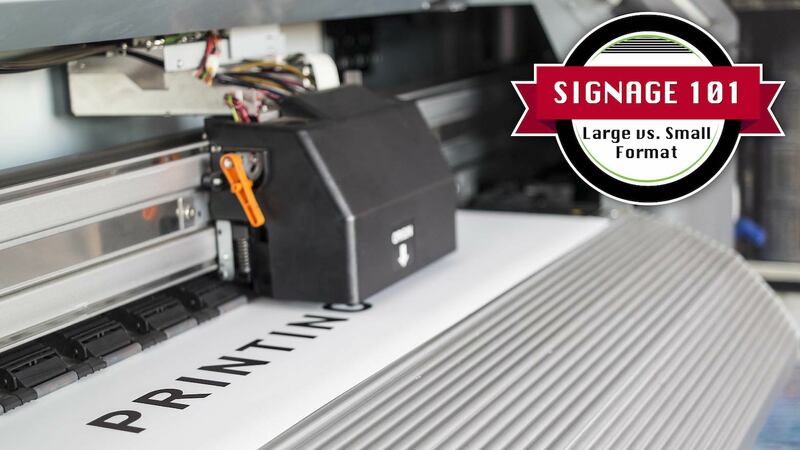 Now that you have a better understanding of large format vs. small format printing, you should be able to make a more informed decision about what type of printing you will need for your project. Large format printing gives you the freedom to make a bold statement by printing whatever you want on several sign materials from flexible to rigid and durable to light. With large format printing you can get great indoor and outdoor use signs that easily capture attention of passersby. You can also order in smaller quantities or one off prints. Small format printing, on the other hand, often means that you’ll need to order your designs in bulk due to the cost ratio of set-up time, materials and size of the print job. With small format however you may find lots of value in promotional products that can be distributed to a large, but targeted audience. There are major differences separating small and large format printing—it comes down to how you plan to use the end product. Now that you have a better understanding of these printing worlds, take a look at our large selection of large format and small format options by browsing our products found on our site. When you order from Signs.com, you’ll get high quality, fully customizable signage and quick turnaround times on your orders.